Adiguna Spa a relaxing, rejuvenating environment, where you can come to release your troubles and experience our natural products. Adiguna Spa use natural Products and Special Recipies to Nourish Your Body, Mind and Soul. 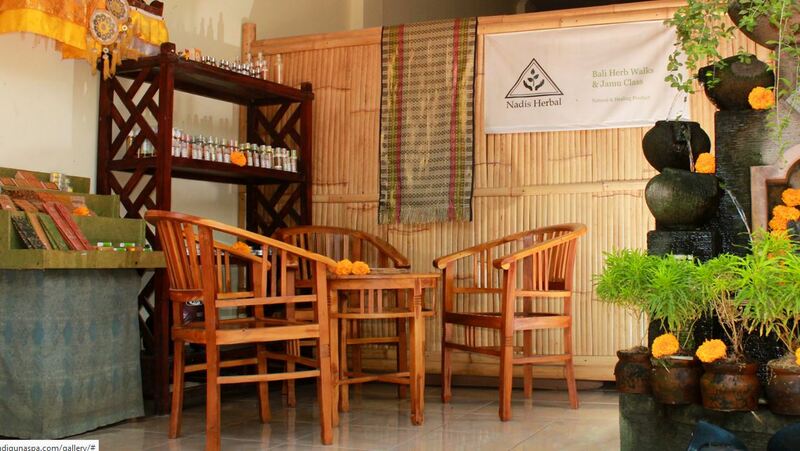 Feel the Relaxing Treatment in a Peaceful Environment at Ubud – Bali. We have 1 double room for 2 persons, 2 single room for 1 person, toilet, and shower & bath room. The ultimate massage involves two therapists working simultaneously, creating a choreographed massage. Four-handed massage teels like you are completely enveloped in sensation. Balinese body boreh treatment is a warm healing pack originated by Balinese rice farmers, made from a combination of roots, herbs and spices. Javanese Royalty, Lulur, the luxurious body scrub, is believed to be one ot the nature’s best exfoliating methods. This heating art works well in eliminating dead skin cells. The main healing element in the stone therapy is the subtle energies released by heated and cooled stones in coniunction with relaxation massage strokes, bringing about release from stress through deep relaxation. Shiatsu is a Japanese therapy that uses pressure applied with thumbs, fingers and palms to the energy meridians and incorporates stretching. A traditional lndonesian treatment beneficial for eiasiiciiy, hair growth and damaged hair. We use traditional recipes and natural product with gentle head massage completed with arm, neck and shoulders massage. Pregnancy massage focuses on giving the mother-to-be the special attention she needs, which helps to nurture the new life that is growing within her. Our theraphists adjust their techniques accordingly to the needs of pregnant women and their changing bodies. A harmonious body massage, using essential oils chosen especially to compliment your particular requirements. This treatment includes an invigorating face and body massage. Lomi-lomi is a traditional Hawaiian massage Technique that’s used to create physical and mental relaxation. By applying pressure to specific reflex points of the feel, it reduces stress, improves circulation, reduces body tension, enhances relaxation and helps improve general health. A traditional manicure that includes a relaxing hand and arm massage. This facial experience is tailored to your skins needs and is enhanced with relaxing head, neck and shoulder massage. Special back, neck, shoulder and arm massage to relieve upper body tenshions.